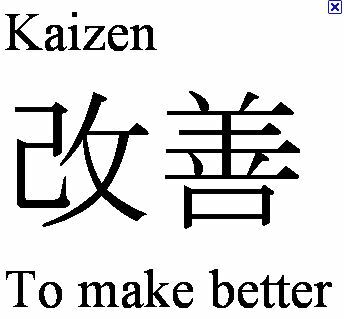 Kaizen: Reduction in Force from Process Improvement? 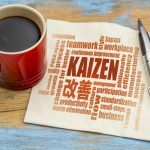 In some process improvement efforts, one common concern is this: “Will I be Kaizen-ed out of a job?” In other words, will I lose my job because of Lean and Kaizen? Will I be kaizen-ed out of a job? The single most common fear that operators have when learning about kaizen and waste elimination is that they will loose their job after a kaizen event. After all, isn’t labor the first waste listed (see preceding question). On the surface, this concern seems to be valid. After all, if we are trying to reduce the waste in an operators work content (labor), is it not conceivable that eventually we will eliminate enough waste to reduce an entire person? This is absolutely true. In fact, when following the kaizen mindset, headcount reduction could happen within week! However, we must not confuse elimination of work with the subsequent elimination of headcount. In other words, if an operators work is eliminated, it does not mean that their job has to go with it. Instead, these individuals can be redeployed to other areas of the company… in identifying more waste for example. Of course, as attrition occurs (voluntary departures, retirements, etc…), it is perfectly acceptable not to rehire the position. 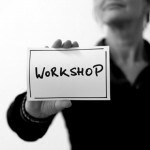 Consider this: eliminating waste through kaizen is performed by everyone in the company, including individual operators. 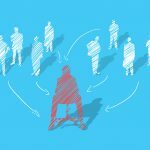 If a company chooses to reduce headcount as soon as a person’s job is eliminated, it is quite possible that the zeal for additional kaizen will not be felt by the remaining workforce. 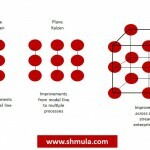 The bottom-line is this: when implementing proper Lean, the firm will be able to do more with less. “Less” might actually mean people. 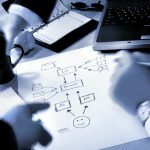 If that is the case, then the firm should be honest up-front with the employees on its intention with the extra capacity it finds itself having after Lean is implemented properly. The other option, of course, is to redirect the employees that find themselves with much less to do to some other meaningful position in the firm. I agree with your comments here, however, even Toyota sometimes has to layoff temporary staff, but that’s why they’re call temporary and at least they learn very desirable and transferrable skills! That’s one reason why it’s much easier to “do lean” when a firm is growing, so freed up resources can be dedicated to growth and new business. See Toyota and GM.